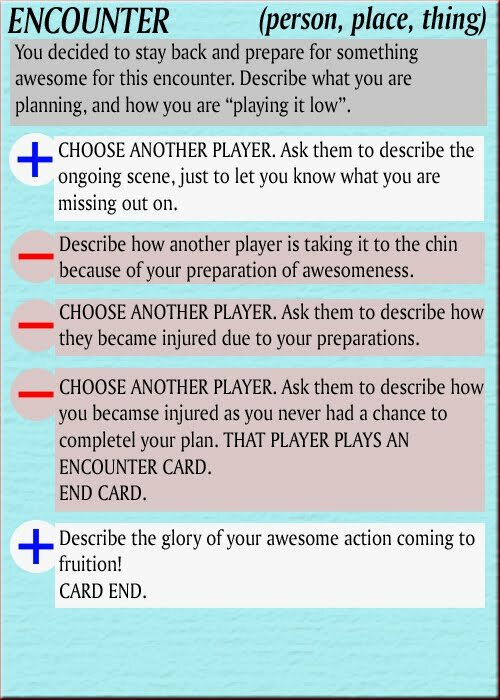 In your example, the Wander card first + paragraph had an "END CARD" at the end, but in your example you flipped a coin and kept going - is that right? 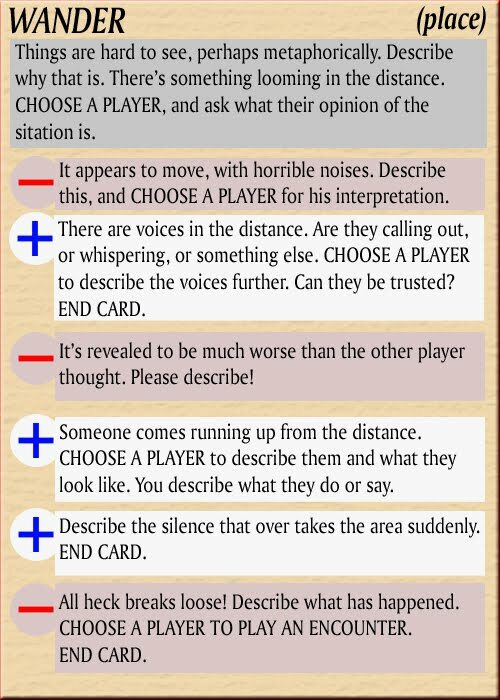 More importantly - why is it a coin toss and not a player's choice, or somehow based on the player input? 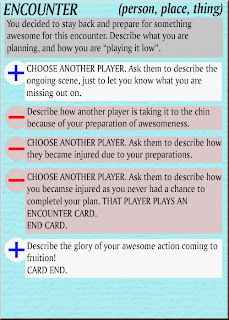 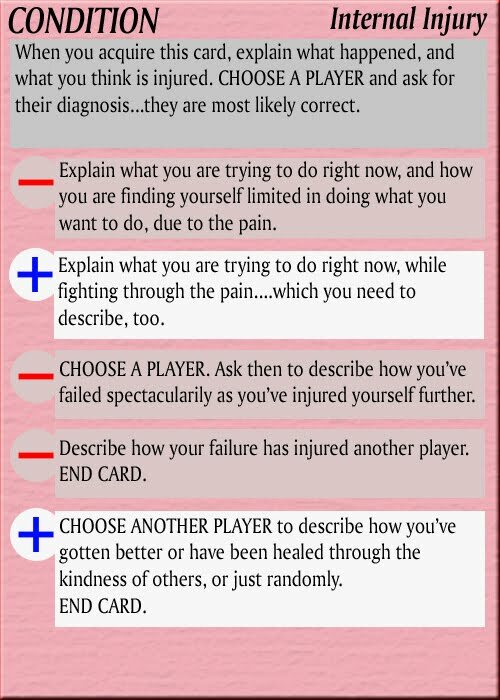 Like "CHOOSE A PLAYER, they choose between (A) and (B)" where (A) and (B) are two thematic choices like you might have in a Choose Your Own Adventure book. 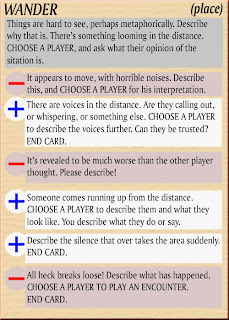 It's possible (A) and (B) are printed on the card, or maybe better some broad categories are printed on the card and the on-turn player invents and describes the specifics of each case (that go along with the category and would therefore yield the correct, consistent segue into the next paragraph), presents that to another player (or group) who chooses between the two, and then goes from there. 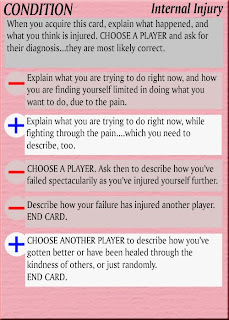 That sounds more in line with how the rest of the card works to me, but I haven't read all the cards (or in fact the whole post) so maybe there's more important reasons for it to be random.